An electron is no more (and no less) hypothetical than a star. 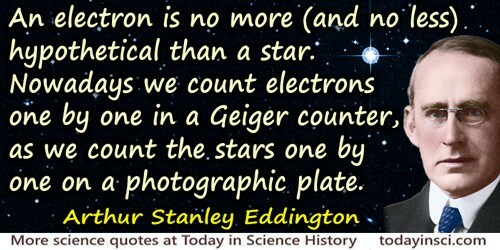 Nowadays we count electrons one by one in a Geiger counter, as we count the stars one by one on a photographic plate. Messenger Lectures (1934), New Pathways in Science (1935), 21.